The reason I am giving this product 5 stars is because it works, plain and simple. There are two uses for this product. 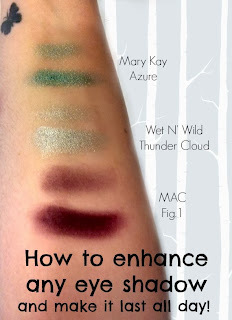 You can either put a little of it on a makeup brush or cutip and roll it along the lash line (both top and bottom) to help eyeliner stand the test of time and smudging or you can put a little of it on your makeup brush before swiping it across your favorite eye shadow to intensify the color. I definitely recommend this product. 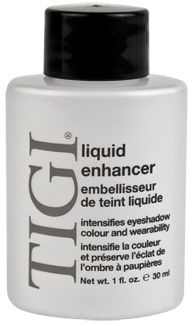 It is meant to be used with TIGI eye shadows, but it can be used with any eye shadow. 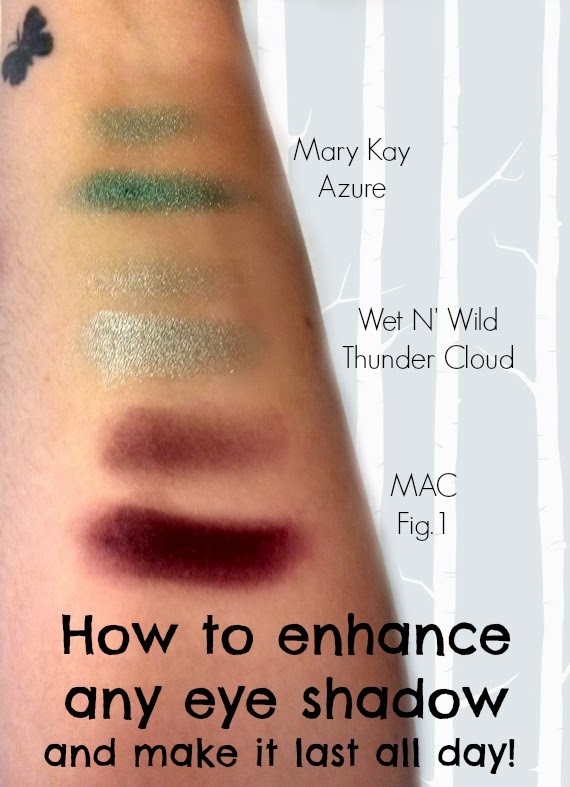 Each eye shadow in the picture above is shown twice, once with three swipes of the eye shadow color (all colors are listed next to it) and then a second time with two swipes of the eye shadow when used with TIGI Liquid enhancer. Let's talk about Large Pores!